The Integrated Checkout Feature allows you to create a more intuitive checkout experience for the mobile application. In order for the integrated checkout feature to be displayed in the mobile application, the following configuration steps must be completed. Optionally you can configure specific settings for the checkout, e.g. if the checkout should be performed with or without report and/or signature. This is done by navigating to Admin > Companies > Service Workflow, selecting the default workflow , and then clicking the pencil icon next to the checkout step to edit the option. Preview Report (ON / OFF) If enabled a pdf report will be generated and displayed to the technician as an overview what service was performed. If disabled the pdf report will not be generated during the checkout process. Report Template If the preview report is enable it is possible to select which report template will be available to select from in the service checkout. Ask for Customer Signature (ON/OFF) If enabled the field user needs to capture the customer’s signature during the checkout process. Note: In case field users work most of the time offline during the checkout process, it is possible to switch of the preview report and still capture the customer’s signature based on the information displayed offline in the application. If required, the PDF report can be generated later on by the field user or also via automation with business rules. The field user can start the checkout process using the CHECKOUT button at the bottom of the activity screen. If required by the business processes, automatically calculated efforts can prompted to the field user to be confirmed and saved. 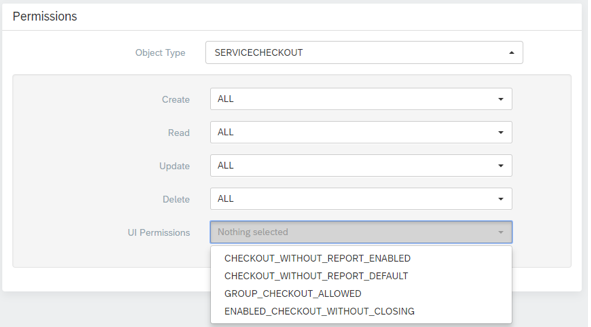 Note: The type of checkout workflow is determined by the ServiceCheckout permission settings in the user group assigned to the user. See details above. The Standard Checkout process is used for single activity service calls where each activity needs to be confirmed and signed off by the customer or in case now sign off is required on site. 2.) Depending on the configuration of the checkout workflow step, the field user can continue the checkout with PREVIEW REPORT, SIGN or FINISH button. 3.) In case the preview report is activated you are advised to synchronize data to ensure all recordings are synchronized to the cloud and will be displayed in the online report. 5.) The customer can now review the details in the report and sign off by clicking the CLICK TO SIGN HERE button. 7.) By saving the customer’s signature, the checkout will be completed. 8.) An overview is displayed for the techician to conform that the work was signed off. The Group Checkout process is used in case there are several activities required for one specific service call. The group checkout is then usually performed by a supervisor or leader on site and may include related activities that were previously finished by other field users. 2.) 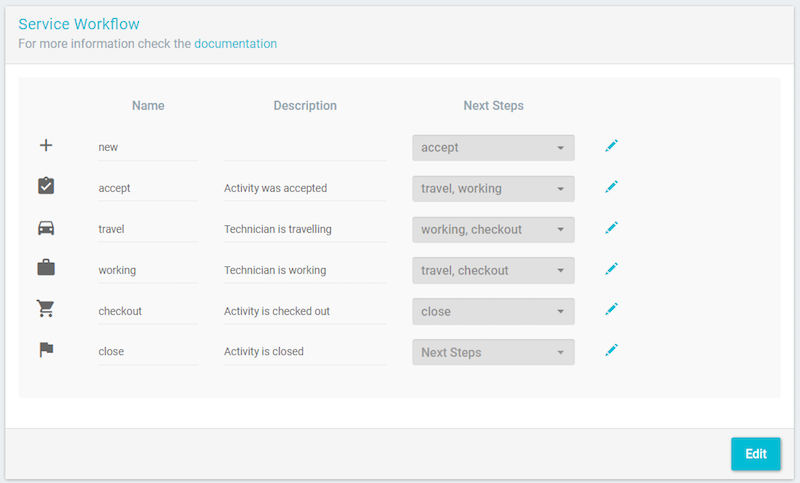 The field user can then select the activities that are ready for checkout and continue the checkout the same way as the standard checkout process. 3.) The report that is generated and signed by the customer will contain details aggregated from all completed activities that were included in the Group Checkout. The Finish Work process is used in combination with the group checkout. The field users executing the service simply confirm when the work is finished. The supervisor or leader on site will then include those activities in the group checkout to retrieve the sign off from the customer. 1.) In the finish work process the application will display the information that the work was completed. 2.) The field user can then confirm that the work has been completed.